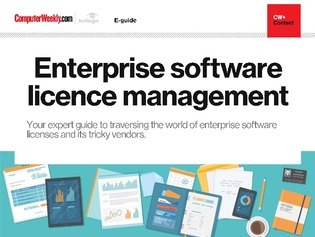 Software licensing is still the wild west of IT procurement. The best upgrade deals inevitably come with strings attached. Driven by the shift to consumption-based licensing, many IT suppliers want their business customers to migrate from old on-premise products to the latest cloud offerings. As Computer Weekly has found, these upgrades can involve massive, costly reimplementation projects. Businesses that choose to remain on older products risk being pursued by over-zealous audit teams from their enterprise software provider, looking to identify licensing discrepancies. This is happening over and over again, as complex software integrations lead to so-called indirect access to the supplier’s software platform. Another common problem is when an external consultant is hired to optimise a system - such as a relational database. The consultant may well choose to install add-ons that incur additional licence fees, not covered by the business’ original contract, leading to a shortfall in licences. What Computer Weekly has found in all the cases it has encountered, is that businesses that have strong negotiating skills can often find a way to continue working amicably with their enterprise suppliers without the risk of fines and hefty licence fee hikes. Regular internal licensing audits of software asset management provide excellent housekeeping. If all else fails, some CIOs are prepared to walk away, preferring to re-implement a system using another provider’s software rather than continuing to tolerate an aggressive licensing stance from their existing suppliers.